The art of spinning a carpet or handkerchief on the end of a stick or pole goes back at least as far as the 1800s. For carpet spinning, the carpet would usually have a rope or even a chain sewn into the hem. This makes the basic trick of spinning the prop fairly easy. For the handkerchief version, the stick would usually have a pin sticking out the end that would barely pierce the handkerchief. 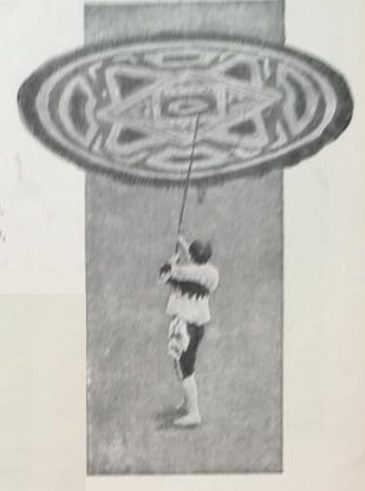 Props for this routine could be purchased from the Otto Maurer juggling prop catalog from 1890, where it was advertised as handkerchief spinning. You can see the advertisement for it below. 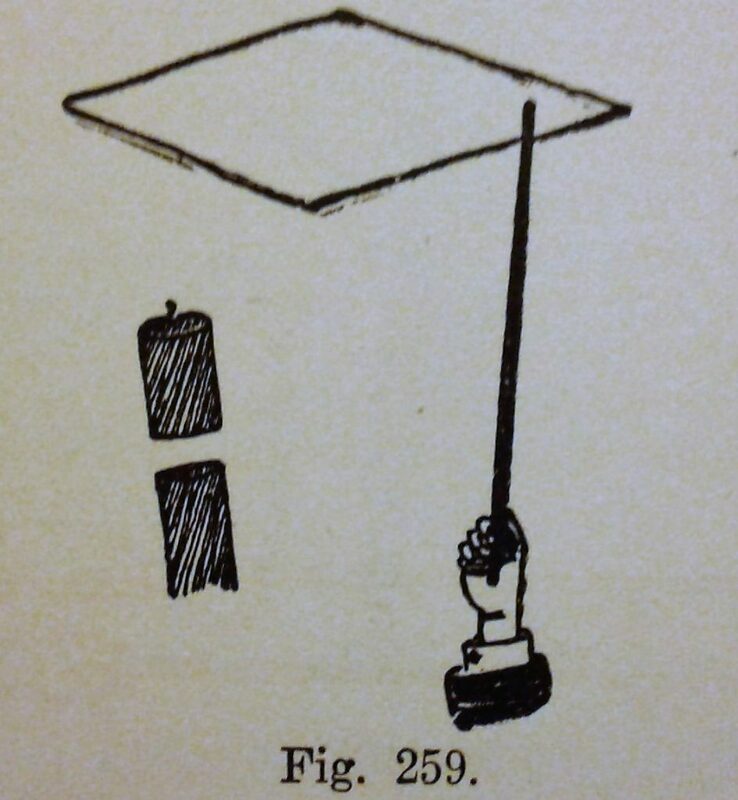 A similar, but larger, version of the trick added a frame and legs to the cloth and became the trick of table spinning. 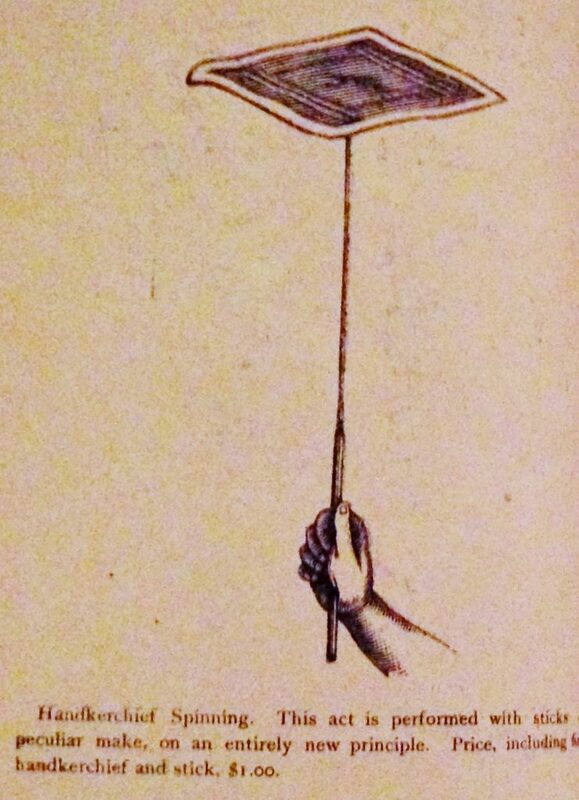 Below is an illustration of this variation from the 1890 Otto Maurer juggling catalog. 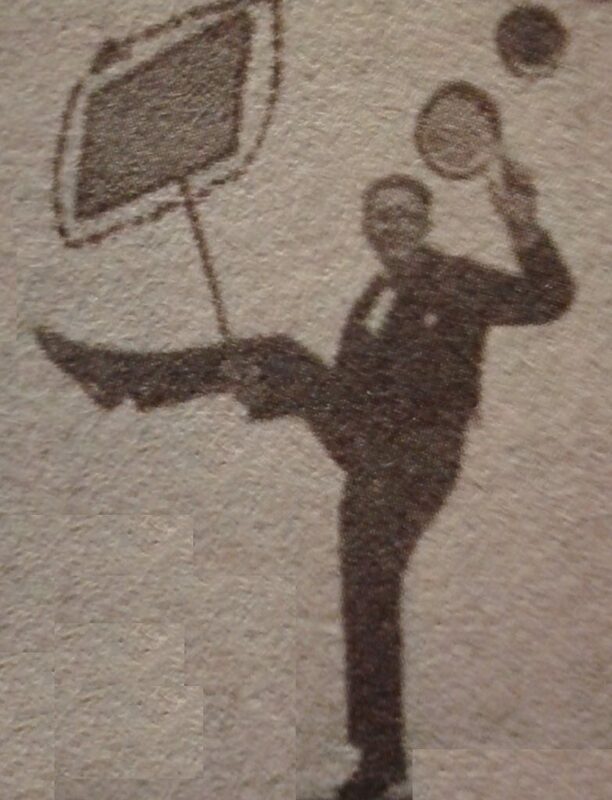 Also in 1890, Gus Kiralfo began performing as a juggler and included the “spinning rag” act, as he called it, in his act. The following statement about this act from the August 1946 Juggler’s Bulletin gives us insight to the act. “Another act, Textile Twirlers, or rag spinners – Gus still did the color change trick. This was done with two different colored bandana handkerchiefs sewed together. 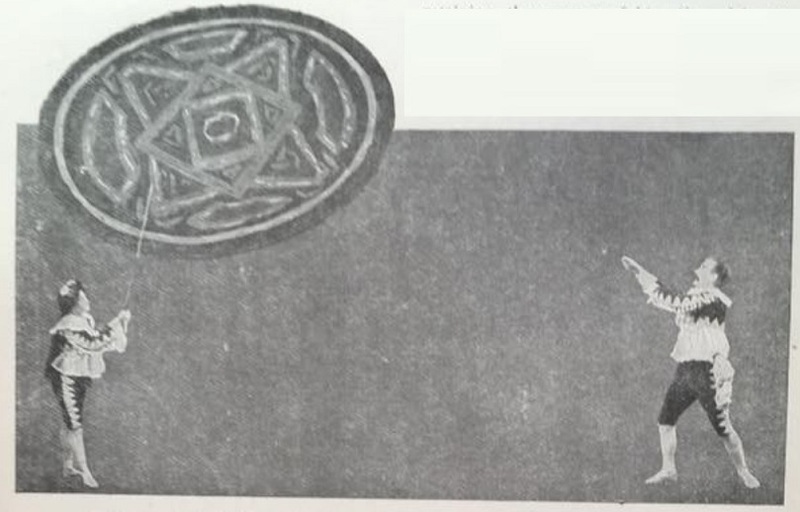 They are spun with a stick having a pin in the end, hank is then tossed in air and as it comes down the pin is jabbed into the reverse side thus bringing up a different color to audience.” You can see Gus performing the trick in the following illustration. 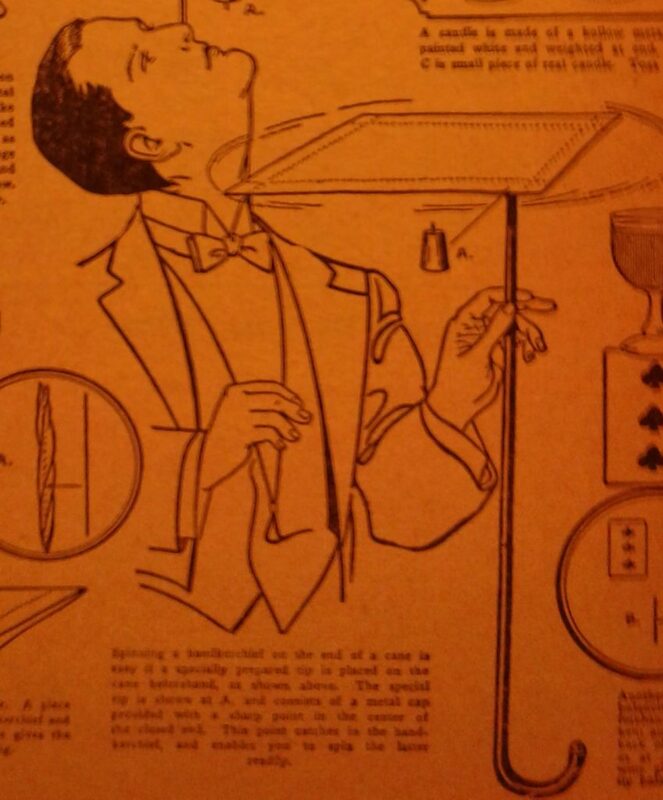 The famed gentleman juggler Kara included the trick in his act, spinning a table cloth on a billiard cue after pulling the table cloth out from under an array of dinnerware. Around the year 1900, a group called the Goldeno Trio performed carpet spinning using giant rugs, as you can see in the next series of photos. The rugs were eight feet in diameter. The Goldeno Trio appear to have used a stick with a very pointy end that probably barely pierced the carpet, allowing them to angle the carpet at a vertical position, which allowed them to spin the carpet over furniture. This would have been a very visual and remarkable looking trick. Another novel trick was to lie down and spin the pole using the leg and foot instead of the arm and hand. 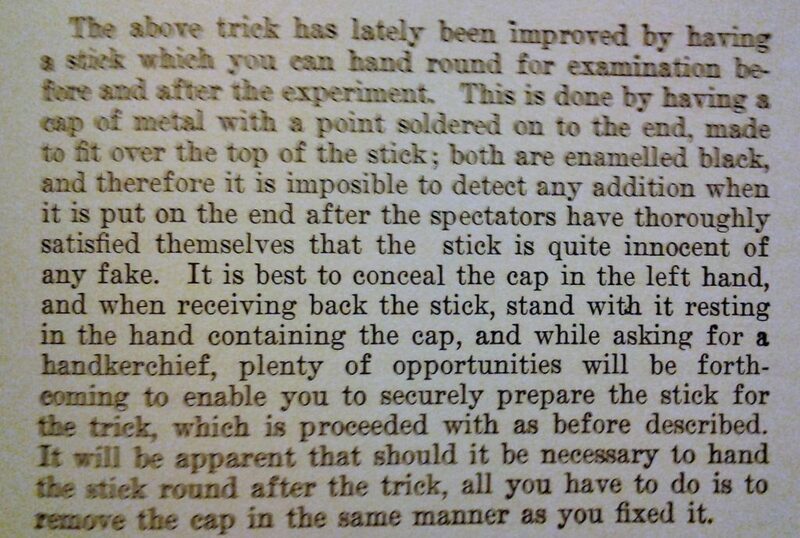 The 1902 book Modern Magician’s Hand Book by William Hilliar includes the following instructions. 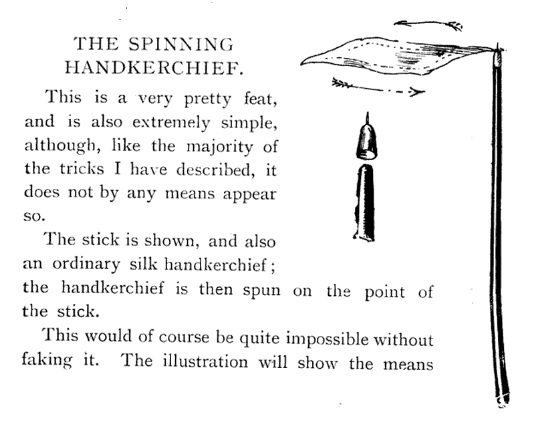 The book The Art of Modern Juggling was written by Anglo (Thomas Horton) around 1903 and contains the handkerchief version as you can see below. 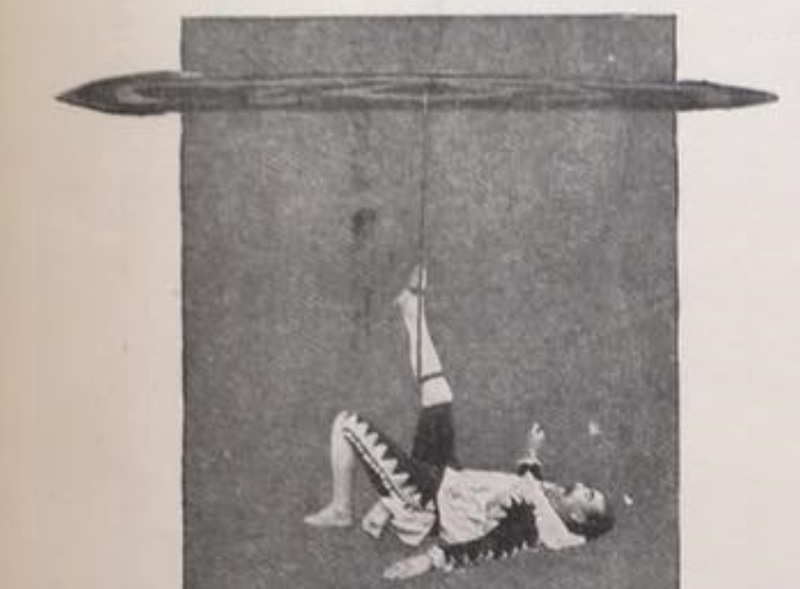 The juggling book The Modern Manipulator by Carl Martell was published in 1910 and contains the following instructions. 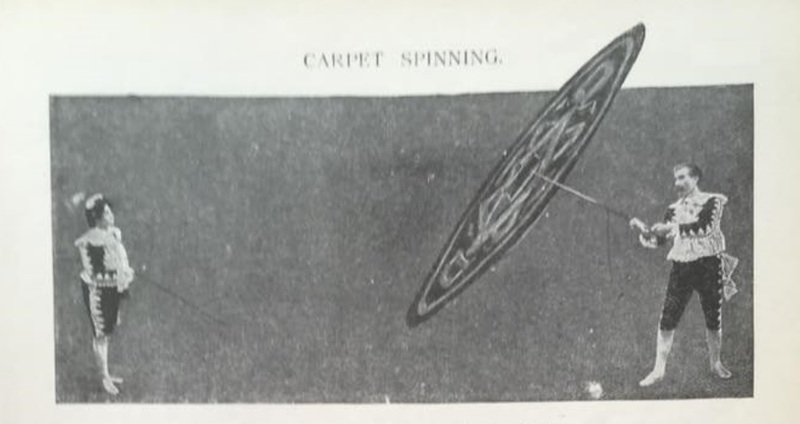 The oldest video we have of carpet spinning is from 1920, performed by one half of the duo of Mayes and Roth. You can see it below at the 3:45 mark. 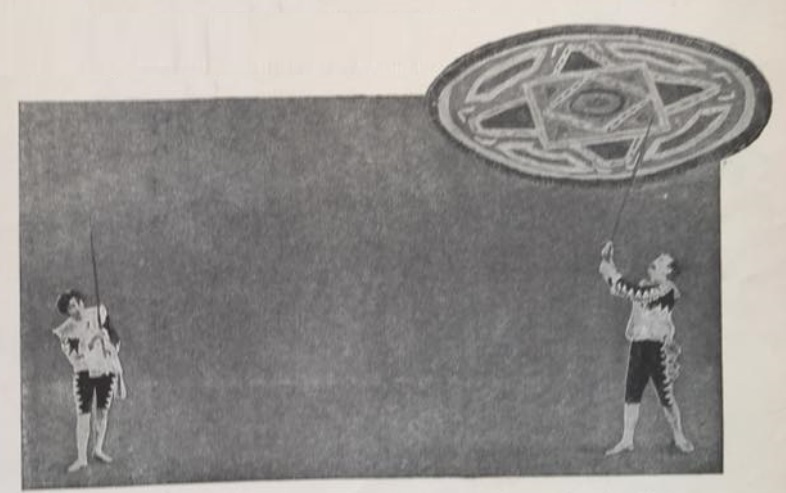 Another juggler to include carpet spinning was Fred Etter, pictured below. 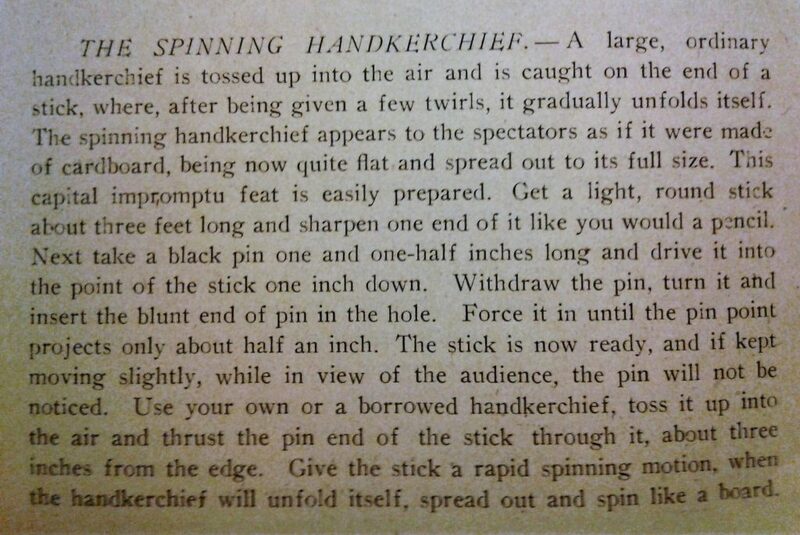 The handkerchief version is again mentioned in the book Juggling Made Easy, published in 1948. 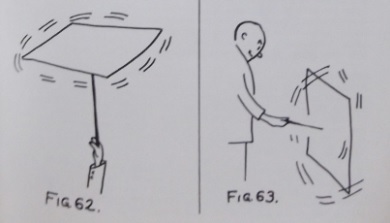 Simple instructions for carpet spinning are included in the book Want To Be A Juggler? by George DeMott, which was published in 1962. Below the images from the book showing this skill. Oleg Popov performed this skill as part of a combination trick that you can see by clicking here. 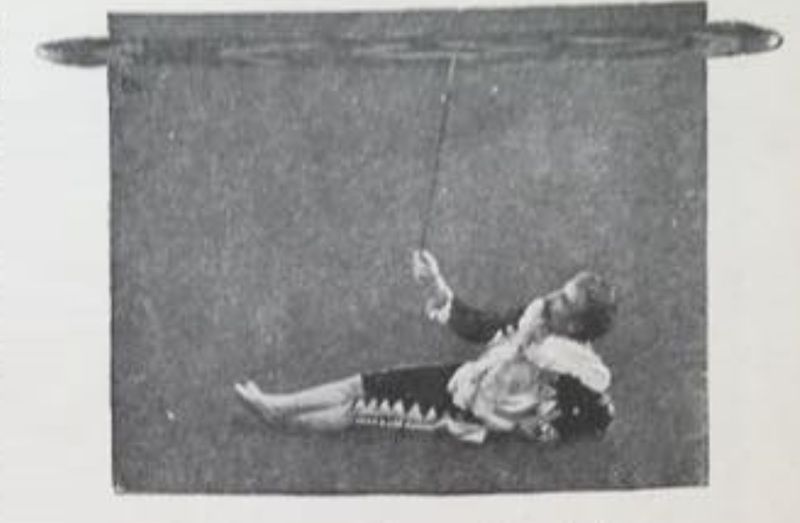 By the 1960s, the version of this trick utilizing a stick or pole seems to have almost completely disappeared from the juggler’s repertoire for almost a century. A rare exception was Jon Held’s demonstration of the skill in an Airjazz show, which you can see by clicking here. One of the only performers still including it in their act is Rhys Thomas. 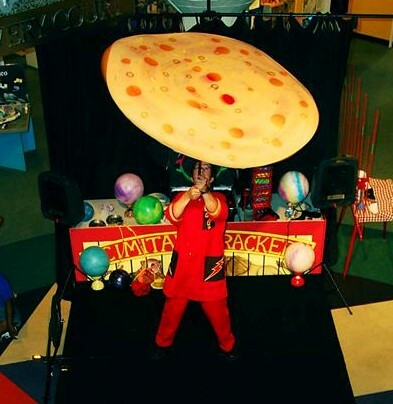 You can see Rhys spinning a giant cloth made to look like a pizza in the following photo. I include this skill in my Juggling History Show, as you can see in the following video from my performance at the CATCH Juggling Festival in the UK in July of 2018. Another juggler who has been working with this form of juggling recently is Ian Marchant. You can see his carpet spinning combination trick below. Carpet spinning has been done for quite a long time by antipodists (foot jugglers), who spin small rugs using both their hands and feet. Here are several videos showing this skill. Once again, the carpets have ropes sewn into the outer edges. These carpets also often have a ring sewn into the center to help keep the foot or hand near the middle. 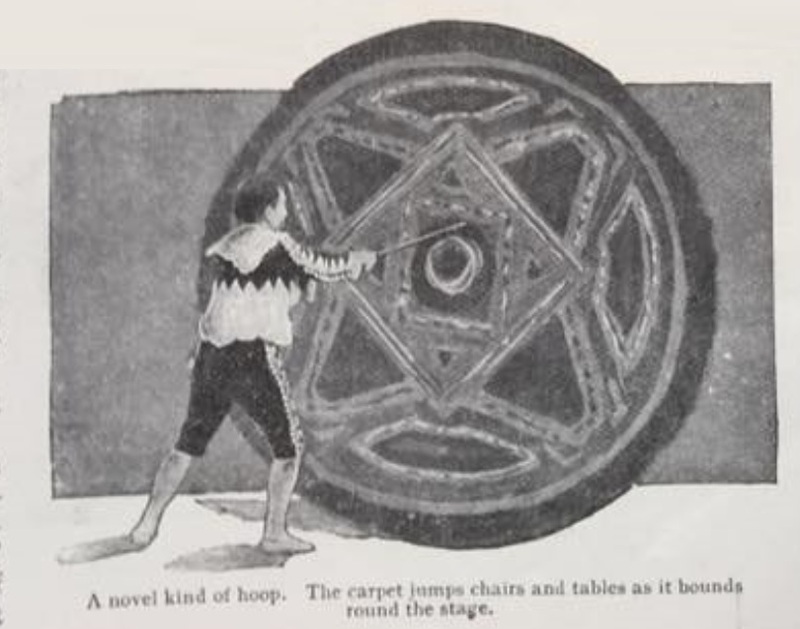 A recent type of carpet spinning prop is the DapoStar. This prop is manipulated more like pizza dough and doesn’t have a weighted edge, but it does have quite a few tricks that can be done with it. You can click here to visit their website and can view the prop in action in the videos below. The basic skill of spinning a small carpet on a stick is quite easy to master and looks great. It would be great to see someone revive a full act with the prop. Perhaps someone is motivated enough to create a large spinning carpet like the Goldeno Trio. That would be a sight to behold.